Why does Business Networker charge a fee to have a profile? One of the most frequently asked questions that can be heard is why does Business Networker charge a fee when so many other social networking sites are free. The answer is simple when you look at all the other social networking sites and compare it with the mission of our members. Our members are entrepreneurs, business owners, business leaders and others that have a different goal in connecting with each other. The goal of our members is to expand their business, make meaningful connections and ultimately make some money. It doesn’t take a visitor long to see that the free sites that are currently in the marketplace attract many who are not conducting business. You will find everything from postings about their kitty-kat, what they had for lunch and even dating advice. These time wasting activities do not fit for our format. By requiring our members to qualify themselves with a membership dues we have discovered that people do not waste their time or others time when they are on Business Networker. Don’t get me wrong they enjoy their time with us and also post things that are fun and interesting – but they are not looking to waste anyones time. 1) Business Networker is very different than most social networking sites that ask you to invite your friends to join. Business Networker actually pays a cash referral bonus to members who refer their friends. That is correct you can become a Business Networker affiliate or reseller. For each person that you refer to Business Networker you are paid $30 per premium membership and $9 per Basic membership. No one organization has this opportunity for it’s members. 2) The Business Networker Advertising grant program. Each year Business Networker makes available several thousand dollars in ad grant money to partner with our business members in advertising in the real world. Some of the kinds of advertising we help our members with include television advertising,radio, trade show, magazine, newspaper and special event sponsorships. For more information on how you can apply for this program go to http://www.BusinessNetworker.com We are the only social networking site in the world that partners with its members in this way. You can actually get paid when you share our logo. 3) Business Networker gives back to the communities we serve. Business Networker makes donations to a variety of worthy causes int he community based on the contributions of its members. Many of the causes we support are suggested by our members and are those that we hope can facilitate strong social change for the positive. Business Networker is the top online social site for businesses, entrepreneurs and innovators. Business Networker has been called the ultimate chamber of commerce, but the major differences that we will point out in this article demonstrates that it is so much more! Here are 5 reasons why you need to be on Business Networker if you own a business! 1)Business Networker eliminates many of the time wasters of other social media sites. On Business Networker our members are there to do business and connect. They are not there to post pictures of their kitty-mats or what they had for lunch. They are there to do business and they are serious about making connections that matter. 2) Business Networker has exclusive custom search engines that allow members to quickly connect with contacts that are relevant to what they need to advance their business. If you are looking for prospects, cutovers, joint venture partners, strategic alliances, or even foreign contacts to expand your business we’ve got them! 3) Business Networker provides exposes of your business to 1,000s of contacts 24 hours a day 7 days a week. 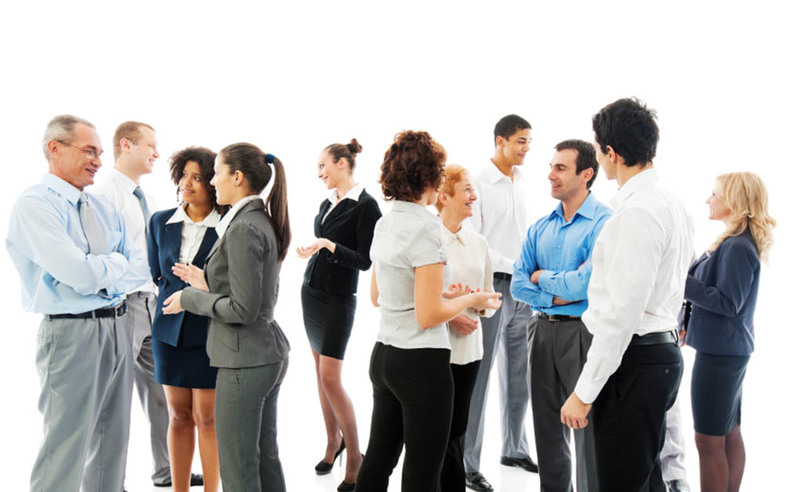 In a sense with Business Networker you are always networking. Even when you are not online people can still learn about your company and make contact with you. 4) Business Networker allows your online relationships to become transactional. Business Networker members can immediately accept credit card payment and even create a store on their profile to sell products, services, event tickets, consulting packages and much more! If your business makes it we can help you sell it! When you join Business Networker as a premium member your store is 100% free to create. 5) Business Networker members have the opportunity to create coupons and discounts right on the their profile to attract new customers. Over the last few years online coupling has become extremely popular generating 1000s of new clients for businesses at a fraction of the marketing cost of traditional advertising. With Business Networker our members have the opportunity to attract more customers through effect coupon campaigns that you can create for FREE! Business Networker can be found at http://www.BusinessNetworker.com Join today and you could receive up to $1000 in free advertising to promote your business. Why Business Networker is an amazing tool for network marketers By Stan Romero Network marketing or direct sales relies heavily upon finding new leads and new contacts. For most network marketers it is very easy to run out of immediate contacts who are receptive to listen to a company pitch. Most experienced network marketers will immediately tell you the key to success is to be able to find new people to talk to regularly who are receptive to the message. For the last decade social media has played an ever increasing role in helping MLM groups find prospects. It has helped individuals to grow their businesses beyond the borders of their own backyard. In addition, social media has been a brilliant way to keep in contact with past leads and existing clients in a way never before possible. In short, social media has been one of the single most important factors in multiplying individual effectiveness and profits. With all the success that can be created with Social media tools there is one tool that has caught our attention and shines above the others in our conversations with mlm leaders. And that tool is Business Networker. In our opinion, Business Networker is currently the strongest tool for MLM business for several reasons: 1)Business Networker allows the user to find specific leads that have expressed an interest in the MLM industry or are most likely to do so. With Business Networkers unique search engine capabilities it is easy to track down those who are already receptive to an MLM message or who would be willing to engage in an MLM conversations. Often in traditional networking either online or offline presenting networking marketing can often be a challenge. Many people have preconceived and often incorrect ideas about what network marketing is. Getting through possible negative contacts to find receptive people can be a journey filled with rejection and discouragement. Business Networker makes it simple and easy to find those who can grasp the vision of network marketing. What this means for the network marketer: Less rejection, less time spend searching for leads and a more profitable outcome. 2)Business Networker has live events. 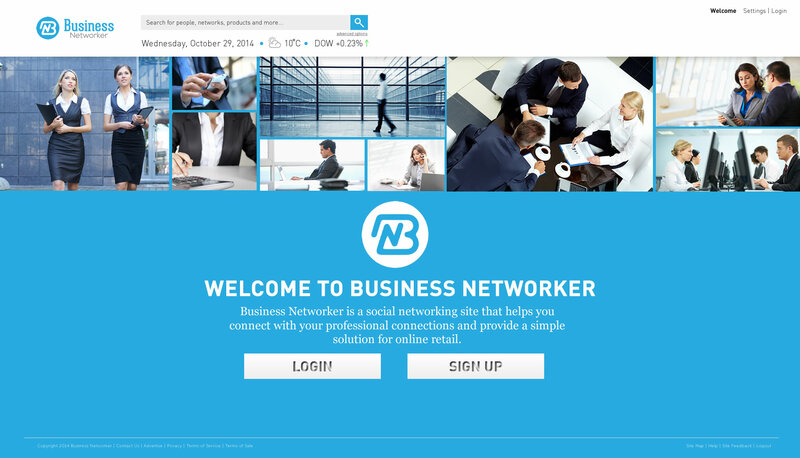 Business Networker is one of the only social networking sites that actually has live events. One of the biggest challenges with online relationships is that they stay online. Network marketing is about relationships. And while they can be great online they become powerful once they shift into the real world. Business Networker allows this to happen. These face to face meetings are very important in network marketing. In a recent survey of new network marketers (including several who started and dropped out) it was reported that one of the single most important factors determining whether a person was successful or not was their connection to their uplink or leadership. What this means for the network marketer: Live events create a greater sense of progress and community, not to mention the opportunity to solidify relationships with leads initialized online. 3) Business Networker has customer management tools. One of the biggest challenges in any business that involves a lot of leads and prospects is the way in which they are managed. When leads are managed improperly they are often lost. Lost contacts are literally lost profits. Business Networker has an effective way for tracking and managing relationships in such a way that no one is lost and your time is directed to the leads that are progressing the most. You may not turn everyone into a customer, but you’ll quickly see who is on the way to becoming one. What this means to the network marketer: You will save time and money recognizing which leads to work with and your prospects won’t slip through the cracks. 4) Business Networker also has great training tools for you to keep in touch with your downline and for your uplink to keep in touch with you. Training and motivation are two of the biggest things that keep network marketers closely connected to their community. Business Networker has many of the traditional tools that other social networking sites have, but they have more. One of the features that has been reported to be most useful has been the video connect features. 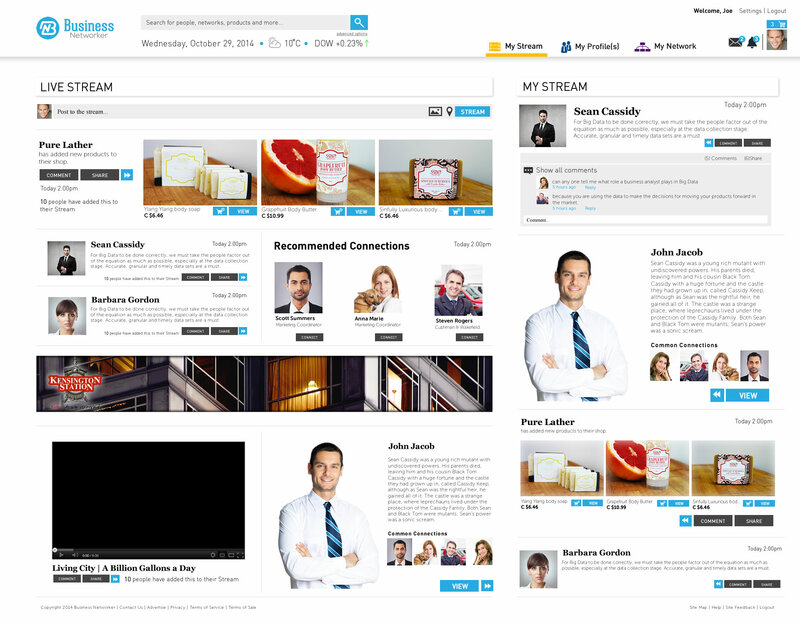 This feature also more than 25 people to be connected in an online training session. What this means to the network marketer: Keep in touch with your whole team no matter where in the world the are. 5)Business Networker allows for each profile to host their own store and receive credit card payments. This is an incredible exclusive feature of Business Networker and one that will make you money. Many network marketing companies rely on product sales and make their product available to people outside of their organization. Many people in the general public are interested in these high quality products, but have no interest to join a company. In the store that Business Networker provides for its members anyone can buy products from you at anytime, 24 hours a day from nearly any part of the planet. THIS IS HUGE. Business Networker is currently the only social networking site that allows your relationships to turn transactional. In addition, to selling products this service also allows the user to process credit cards through a virtual terminal. This means you can accept credit cards anywhere. What this means to the network marketer: When it is easier to give you money you will make more money. It’s as simple as that. 6) Lastly, Business Networker allows people with real knowledge and expertise to position themselves as experts in their field. Network marketing has some of the most amazing experts who really know their stuff. If you are such an expert Business Networker gives you the opportunity to solve problems and provide advice for individuals in a public forum. As you become recognized as an expert you become the trusted source for information and your client base will grow. What this means for the Network Marketer: People do business with those whom they trust and recognize as being able to provide solutions to their problems. Overall Business Networker is currently one of the highest recommended tools for conducting network marketing online. If you are serious about growing your business this is a service you need to add to your business tools. Participation far outweighs the expense which is far less than what you’ll spend with a membership at a local chamber of commerce or networking group. You can find out more at http://www.BusinessNetworker.com Article by Stan Romero. Stand Romero is an independent business consultant on trends in social media and social networking. Business Networker gives official launch date of Feb 1 2015.
Business Networker is coming and if you’re serious about your business you NEED to be a part of it! Are you ready to find more leads for your business? Are you looking to make more money through your online relationships? Are you looking for a smart and cost effective way to get the word out about your company? Are you looking to network more but don’t have additional time to dedicate for better results? If you answered YES to any of these questions then you’ve come to the right place. Welcome to Business Networker. Business Networker is the only social networking site for people serious about growing their business. On Business Networker, our members have the opportunity to interact with thousands of other business owners and potential customers in their local community and around the globe. Business Networker is the quickly becoming the #1 place to find leads and prospects, joint venture partners, strategic alliances and of course customers who are ready to buy from you immediately. Some of the incredible benefits to Business Networker members include our exclusive lead generator search engines that put you into direct contact with qualified leads you are searching for. Think of it – no more time and money spent hoping to find someone who is ready to do business with you – we’ve got them right here and we can help you find them by simply asking a few simple questions about you and your business and who you’re looking for. Each of our Business Networker members has the ability to create a store with their company profile. That means that as a member you can receive credit card payments in real time, sell products and even sell tickets to events or seminars. Our powerful payment services allow any business to be up and ready to make money in a matter of minutes. Business Networker is the only social connection site that allows your relationships to turn transactional instantly which creates massive passive income for you and your business. Our Business Networker members also have access to 1000’s of discounts from other members within the Business Networker site. You can find hundreds of opportunities not only to save money in your business but also in your everyday personal life. Many of our members have said that just these savings alone are more than reason enough to join Business Networker. As a business owner you know the importance of education and learning to grow your business. It is for this reason we encouraging our members to be more than just transactional we encourage them to be transformational. In other words if you are an expert in a particular area of business we encourage you to share it with the other business owners in the group. Our members also have the ability to form business masterminds, online networking events and even group training sessions by videochat. These exclusive features of Business Networker position you instantly as an expert by sharing your insights and abilities with the group. It’s a brilliant way to add recognition for you and your business and that recognition translates into more customers. In addition to our online activities we are the first social media networking organization to actually construct live events where you can take your business off your electronic devices and solidify them in the real world. Come out to these events and meet business owners and customers yearning to meet you and do business. These events are rated as some of the top networking events available and are guaranteed to expand your business and your business connections. There’s a reason why we are considered the #1 and fastest growing online business networking resource in the world – and that’s because those who are serious about growing their business come to us. We have the tools and the understanding of what it takes to be success in business today. Our community is ready to help you get there too. If you are an entrepreneur, small business, home based business, network marketer, independent consultant, small business start up you need to be on Business Networker. Before you get started there are two more important benefits we want to share about how Business Networker can help you save money and make money for your business and then if you are ready to get started I want to share an immediate bonus valued at over $250 that I want to give you for getting started right now. Important benefit 1: Do you currently spend money on advertising your business? Or have you got some extensive marketing plans coming up? Then you’ll want to hear this. How would you like to get paid for the advertising you are currently running? If so then you need to learn more about Business Networkers small business advertising grants program. That’s right we give away money to our members to help them advertise and it’s available every time you include business networker in your marketing. Much like what you already do with other social media sites – only we pay you for it. When your membership profile is complete don’t forget to click on Business Networker advertising grants to learn more about how you can get paid to advertise immediately. Important benefit 2: In addition for paying you to include us in your marketing we also have an affiliate program that pays you to recommend us to others. Naturally when our site grows not only do you benefit from the increased number of connections, but you can also benefit financially by referring your friends. We pay you for every person you send our way. After you complete your membership profile simply create a profile and click on “I want to be an affiliate” and we will assign you an affiliate ID code and some marketing tools to help you get the word out. Currently we have some affiliates making more than $5000 a week. Could you use that kind of extra cash? As you can see Business Networker is a service that is going to explode your business. We have leads waiting and ready to business with you and so much more! It’s time for you to get started. Sign up now and with this special early bird offer you will get $250 in free advertising that you can use within the site to promote your business immediately. Start with a bang and let others know you are here! This is a limited time offer and will expire any time. Don’t miss out! Just click the link on this page to get started. So what are you waiting for? It’s time to grow your business. Register November 20, 2014 at http://www.BusinessNetworker.com. This is a limited time offer! 4 keys to improve your business networking Presented by Business Networker Networking is an essential component of creating a successful business. It is the key way in which a business owner can meet new prospects, potential business partners and learn about potential business opportunities in the community. The challenge for most business owners is that they do not know how to fully capitalize on networking opportunities when they appear and often time and money is wasted trying to create results with non-productive activities. The following 4 suggestions are tips that are followed by successful networkers and if used correctly they will help your networking be more effective and profitable. Set networking goals – When you approach each networking opportunity with specific goals in mind you will immediately se a change in the productivity levels of your networking. The problem for most entrepreneurs is that they make a commitment to attend networking activities, but beyond that commitment they have no specific goals as to what they want to attend. As far s goal setting and business are concerned if you aim at nothing you generally get nothing. Yet, as motivational speaker Douglas Vermeeren states, “A goal that is specific and clear becomes attainable and near.” When you set specific goals for your networking you make progress and achieve what you set out to do. Some of the goals you might want to set could include the number of people you want to meet, the specific industry you are looking to connect with, a specific set of solutions you are seeking or even the number of business cards you will share. Having a goal gives you purpose, purpose gives you progress. Attend the right events – Often very little thought is given to the kind of events most entrepreneurs attend. They immediately think that if there are people there then they should be there. The mentality of “Everybody is my customer” often is very counter productive. When you are specific about your target market and network where they are your results will expand exponentially. Have a plan for follow up in advance – Naturally at live networking events you will make many contacts and often come away with a stack of business cards, but what will you do after the event? Do you have a method of follow up? Do you have a way to organize who will be your highest priority contacts? Do you have a system for identifying those who are a good fit to grow your business? Systems like Business Networker can help you sort these kinds of things out in an easy and straight forward way. The money isn’t in the initial meeting, it’s in the follow up and the continued relationship. You’ve invested the time and money to make the contacts now do something with them. Seek to serve first – Prospects can sense immediately if you are there to serve them or if you a re there for your own interests. A genuine attitude of service creates a sustainable business and powerful word of mouth. It also immediately established you as a trusted resource. When you are a trusted resource your client base will grow and will be paid to solve problems for that client base. Much like the game of volleyball you must serve before you can score! Business Networker is the premiere online business networking tool for connecting business owners with leads, joint venture partners and strategic alliances. Launching in February 2015.